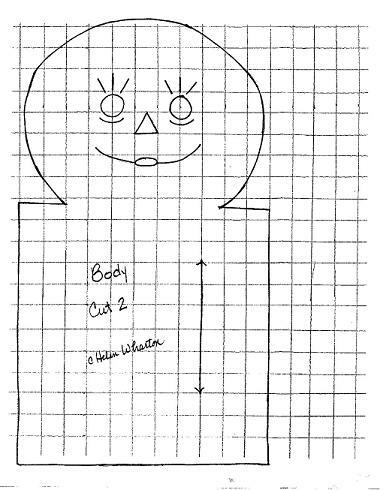 This pattern is my design, you may copy it free, for your own personal use, but it may not be used commercially.To see a photo of the 15 inch Annie Doll look here. For solid color body: 1/3 yard cotton fabric, color of your choice. For striped legs and black shoes: 1/4 yard solid color cotton fabric for body and arms, 1/4 yard red and white striped fabric, scraps of black fabric for shoes. small amount of red and blue 6 strand embroidery floss for facial features. red worsted weight yarn for hair. 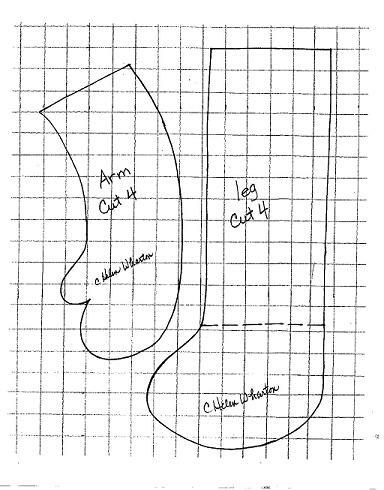 All pattern pieces include a 1/4 inch seam allowance and are shown on a 1/2 inch grid.To copy the pattern by hand you can create a 1/2 inch grid by measuring every half inch and making a pencil dot all the way down and across, on both sides of a piece of 8 1/2 by 11 inch paper. Then use your ruler or straight edge to connect the dots with your pencil. Then draw the pattern lines into each square of your grid, exactly as they are shown in my design. If you prefer to embroider the facial features before cutting, trace the pattern piece onto the fabric. Then trace the facial features and stretch the fabric in an embroidery hoop. Using the 6 strand embroidery floss use satin stitch for the nose, center of the mouth and the eyes, and stem stitch for the sides of the mouth and eye outlines. For directions on how to do these stitchesLook Here. 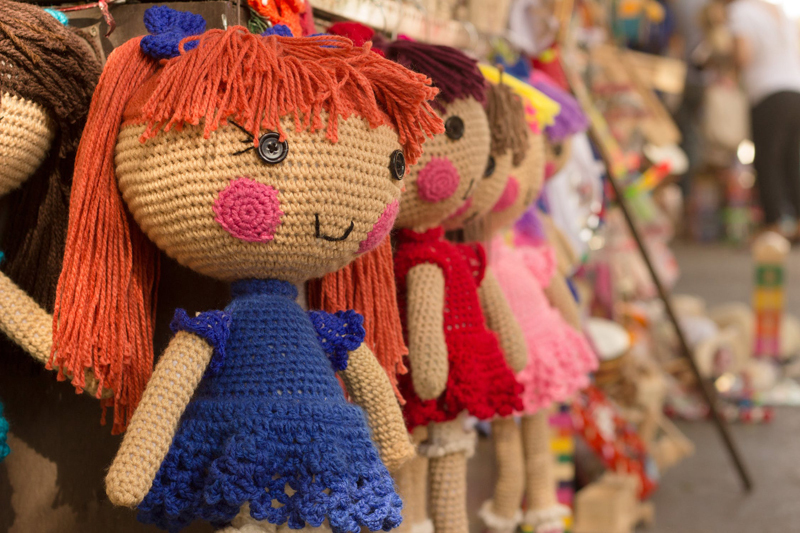 If you would rather embroider the face after the bear is assembled, trace the features onto the body and complete sewing and stuffing the doll, then finish the embroidery.